You need to learn how to paint and now is your chance! Into The Brush painting class will do just that for ages 10 and up. 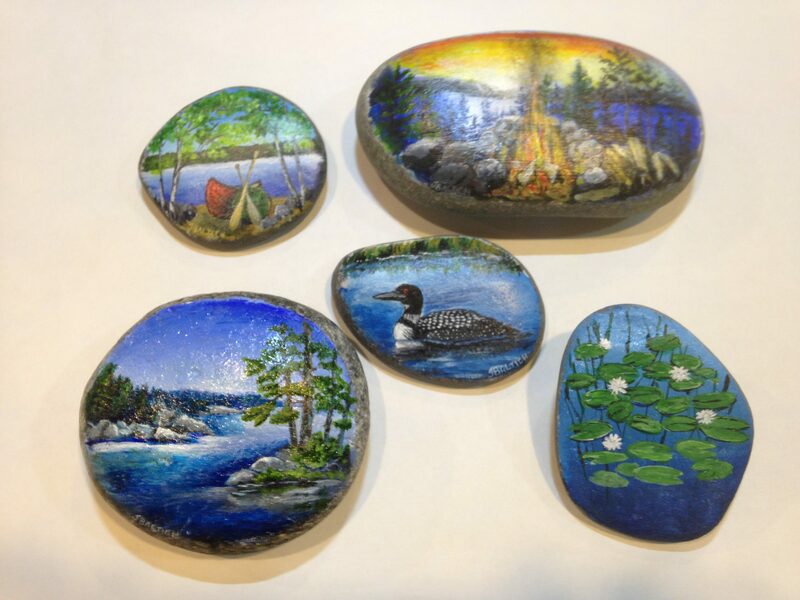 Come on out to Northwind Lodge and learn the basics of painting in acrylic paints on user-friendly Lake Superior rocks! This is a basic class where we will be learning how to properly use paints and brushes. At the end of the class, participants should have a painted rock, simple brush handling skills and enough experience to walk into an art supply store and buy what they need to continue on with this great pastime back home. Call us at 218-365-5489 to set up a time!